Mazda 2 Running Costs, MPG, Economy, Reliability, Safety | What Car? 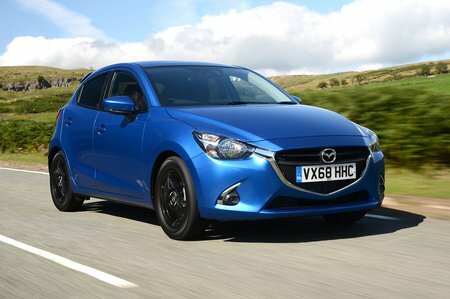 Specced in SE-L+ trim with the 89bhp engine, the Mazda 2 is more expensive than the equivalent Hyundai i20 and Skoda Fabia, as well as many other cars in its class. 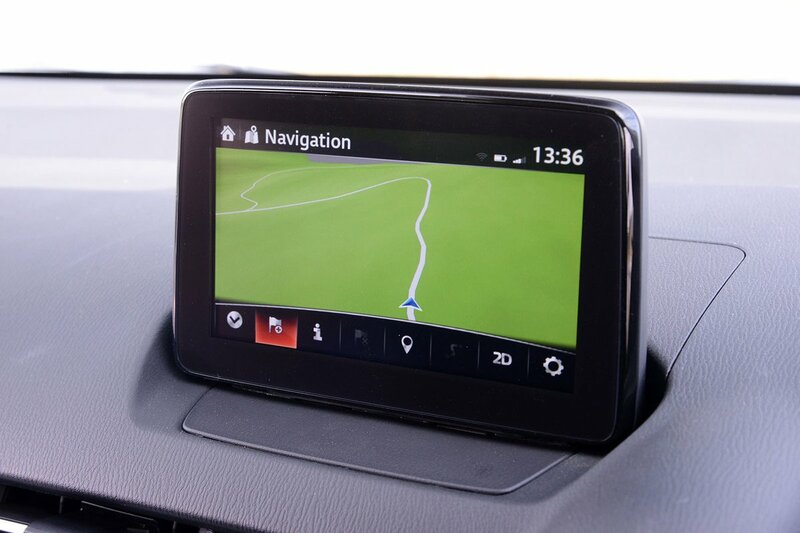 But in SE-L Nav+ form and above has a generous amount of standard equipment that helps justify its price point. The 89bhp engine’s CO2 emissions of 111g/km aren’t particularly impressive. That said, in the hands of What Car?’s True MPG fuel testers, the 89bhp model achieved more than 50mpg, which is real-world proof that the 2’s petrol engines are among the most economical in the small hatchback class. The range kicks off with the SE+ trim. It’s relatively basic with 15in steel wheels, and its interior looks decidedly dull, but it does have air-conditioning and remote locking. We recommend going a few trim levels up, to SE-L Nav+. It benefits from plusher interior fittings and welcome upgrades including alloy wheels, rear electric windows, cruise control, and a leather-wrapped steering wheel and gearlever. Sport Nav+ models get 16in alloy wheels, auto headlights and wipers, climate control, keyless entry, rear parking sensors and sat-nav as standard. Black+ edition adds black alloys, a black rear spoiler and premium leather interior design features while top-spec GT Sport+ adds a rear view camera, LED headlights and leather seats. With all of this kit comes a significant jump in price, though, so we’d avoid the top levels and stick with SE-L Nav+. Here’s an anomaly: Mazda as a manufacturer, has impressed its customers on reliability, finishing in 12th place from a total of 31 manufacturers in our most recent reliability survey. However, there’s a twist, because the 2 finished rather poorly in the small car class, proving far less reliable than the Toyota Yaris, which came top, as well as the very worthy Renault Clio and Skoda Fabia. It did finish above the Peugeot 208 and Mini Clubman, though. 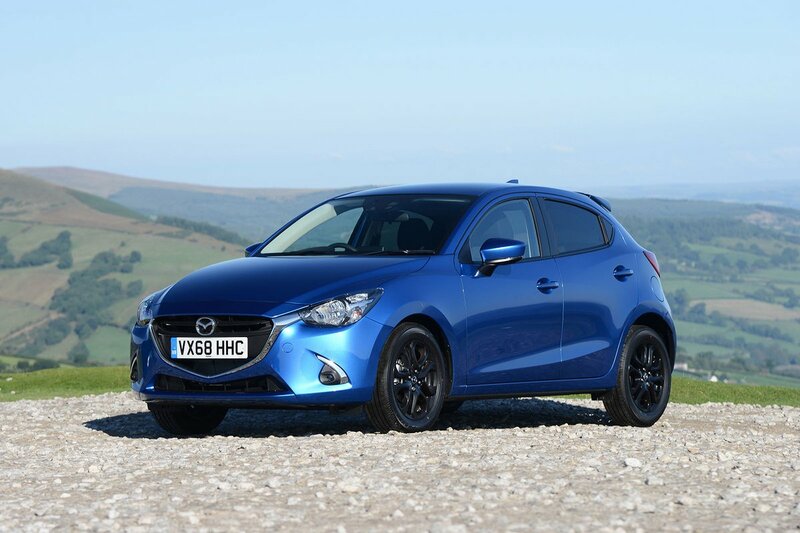 The Mazda 2 comes with a pretty basic level of standard safety kit, which includes six airbags, traction control, hill hold control as well as tyre pressure monitoring. Only mid-spec SE-L Nav+ models and above offer sophisticated active safety features like lane departure warning and automatic city braking. The 2 scored four stars in Euro NCAP’s tests back in 2015 with a particularly strong pedestrian safety score, even though a Ford Fiesta gets the full five stars overall. Thatcham security also rated the Mazda three stars out of five for its ability to prevent being broken into.